Washing your face sounds like the simplest of all beauty tasks. I mean, you&apos;ve only been doing it your entire life. You work up a lather, splash with some water, and then dry off with a towel. What&apos;s the big deal? So many of us think we were born with certain skin conditions, when really, they could be caused by incorrect cleansing! The whole point of cleansing is to remove any dirt, makeup, sunscreen and excess oil that has accumulated on your skin, and to prepare it to receive other skin treatments (such as serums and moisturizers). Eugenia Kim Genie Penny Headband. First, tie your hair back and/or use a barrette, clip or headband, so your hair (including your bangs) is completely off your face. I&apos;m partial to Sephora&apos;s Ribbon Hair Ties (they won&apos;t rip your hair! 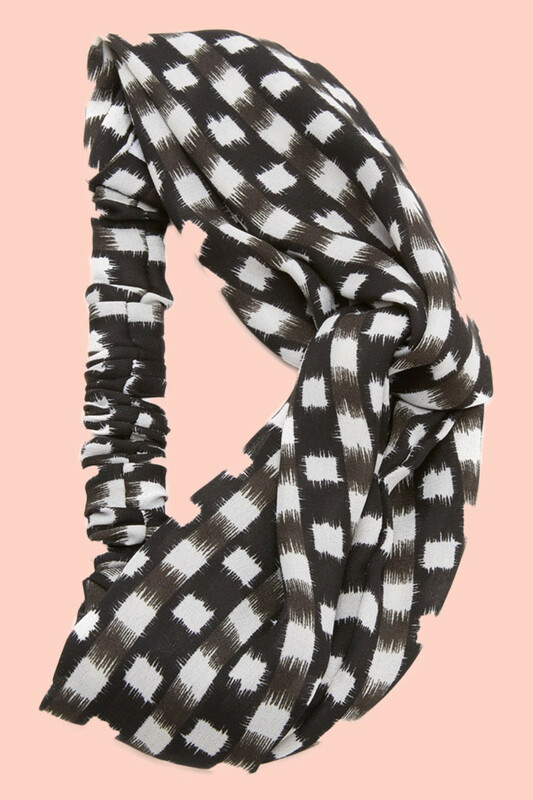 ), and one of Eugenia Kim&apos;s Headbands would be super-cute. It doesn&apos;t make much sense to try and get your face clean with dirty hands, does it? Wash your hands before you touch your face—you should be able to sing "Happy Birthday" twice while you&apos;re lathering up. If you wear makeup, it needs to be removed before you can actually cleanse your skin. This is known as "double cleansing," and is a key step in the famed Korean skincare regimen. If you&apos;re only washing once with a regular face wash, it&apos;s probably not going to get your mascara, foundation and concealer completely off. I would also recommend double cleansing if you wear sunscreen or any silicone-based skincare products. Choose a cleansing product that is designed to dissolve stubborn makeup and sunscreen, and use it all over your face, neck and chest (yes, your face ends at your chest!). Skinny & Co. Skinny Coconut Oil. Just about any cleansing oil or balm will be effective, although be aware that some people (including me!) are VERY sensitive to oils. Also, as you know, I&apos;m extremely particular about oil safety—since unsaturated oils are less stable, they can promote premature skin aging. We&apos;ll be washing with another cleanser after this, so it doesn&apos;t really matter if you do want to use an unsaturated oil, such the sunflower seed oil in Erborian&apos;s Solid Cleansing Oil. (Just throw it away once it starts to smell "off.") I&apos;d try to avoid mineral oil, a comedogenic ingredient found in many oil cleansers, including the overpriced Eve Lom Cleanser. My personal preference? Coconut oil, ALWAYS. It&apos;s saturated and therefore the safest, most stable oil around. Skinny & Co. Skinny Coconut Oil is perfect as a makeup remover, or you can just pick up a bottle of coconut oil at the health food store. Jojoba oil, such as MV Organic Skincare Pure Jojoba, would be a fine choice, too. I recommend removing your oil-based cleanser with a warm, wet, steaming cloth. Drape it over your face for up to 10 seconds. Then, use the cloth to gently remove the cleanser. Repeat up to four more times. The light steaming and gentle buffing will not only get your skin clean, but also give you a great exfoliation. Make sure to use a fresh, clean cloth every time, since they can harbour dirt and bacteria, which you don&apos;t want to be putting back on your skin. I like the Pai Organic Muslin Face Cloth. 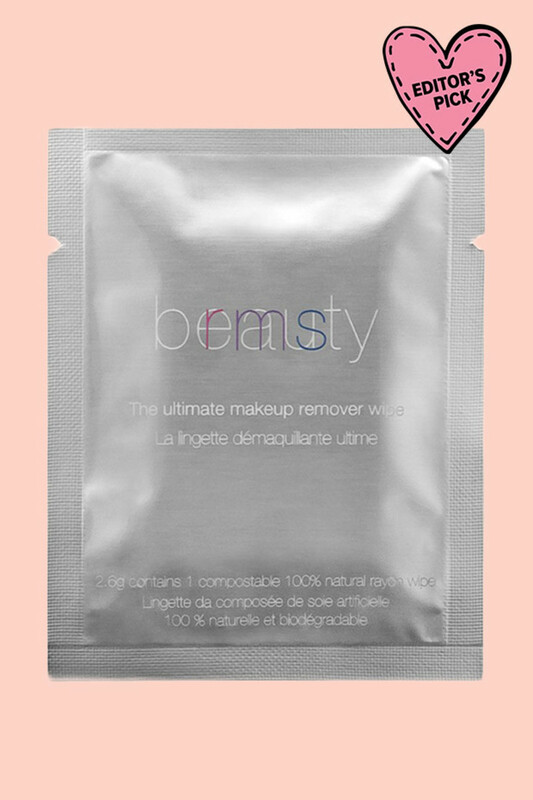 RMS Beauty The Ultimate Makeup Remover Wipes. If you prefer a cleansing cloth format, you can find oil-based ingredients in those, too. My top pick would be RMS Beauty&apos;s The Ultimate Makeup Remover Wipes, which are—you guessed it!—saturated in coconut oil. The Josie Maran Bear Naked Wipes are also very nice, although their ingredients are a bit less stellar (silicone, fragrance). If you don&apos;t like anything oily, micellar water (also known as cleansing water) is a great option. Although there are tiny oil droplets suspended in the formula, which cling to and dissolve the makeup, dirt and sebum on your skin, the feeling is very watery and refreshing, not greasy. You simply moisten a clean cotton pad (I love Shiseido&apos;s) with the solution, and swipe. 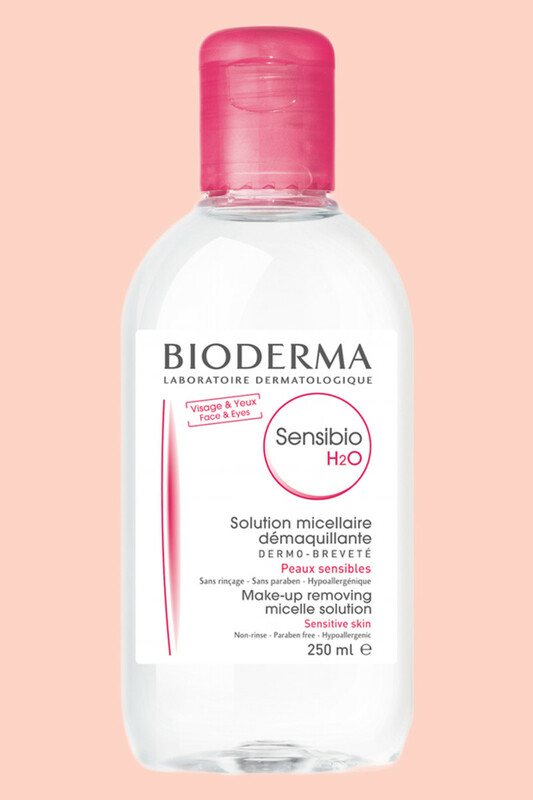 I&apos;ve found good old Bioderma Sensibio H2O to be the most effective (it&apos;s cult for a reason! ), but you can also find micellars from Caudalie, REN and Simple. Micellar face wipes exist, too, but I find you have to work much harder with those, and it&apos;s not good to risk tugging at the delicate eye area. Burt&apos;s Bees Brightening Daily Facial Cleanser. For those who like a more traditional cleanser format instead of oils, wipes or waters, I suggest an oil-based cream cleanser. That way, you get the makeup-removing benefits of an oil, but in a formula that&apos;s a bit easier to rinse clean. 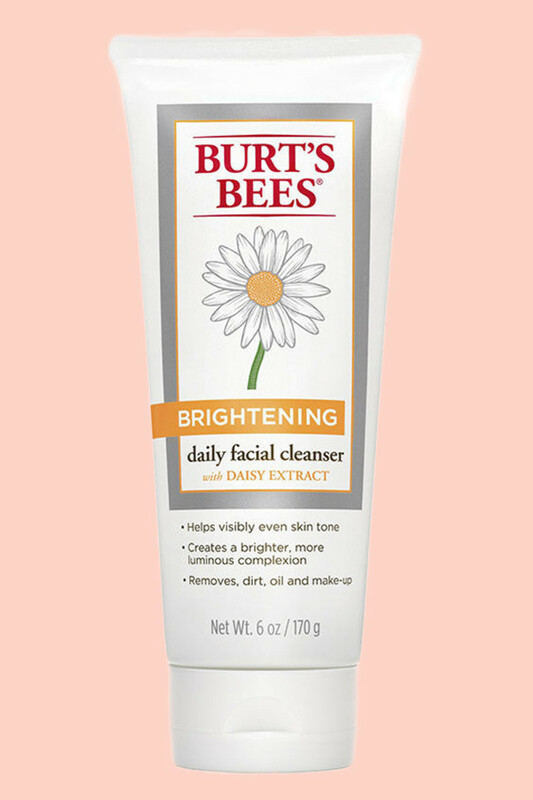 Burt&apos;s Bees Brightening Daily Facial Cleanser is my favourite in this category; it&apos;s an olive-oil based cream that works really well to get off makeup. Remember, oily or creamy products should go on dry skin, not wet. Massage them in for a few seconds to help them break down the makeup and sebum. Then, wet your fingers and keep massaging, to emulsify the product—this will help you remove it more easily with water. (Your water should be cool or lukewarm, by the way, but we&apos;ll talk more about that in a moment!) Of course, if you&apos;re using a micellar product, no rinsing is required. Now that you&apos;ve done that first pass, it&apos;s time for a deep cleanse. 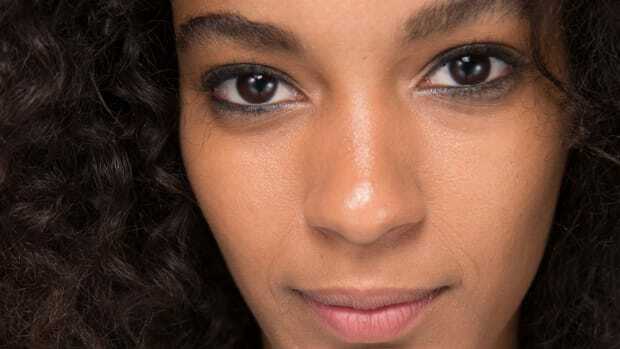 This step will not only get off any remaining traces of your makeup-removing product, but most importantly, it will get your skin thoroughly clean. 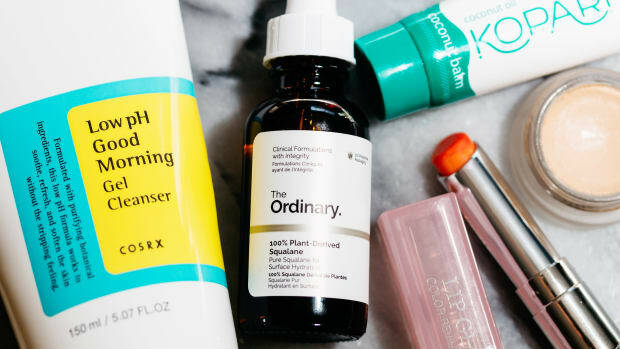 It used to be that foams were only suitable for oily complexions, but now you can find sulfate-free ones that are gentle enough for normal folks as well—many even claim to be suitable for ALL types of skin. 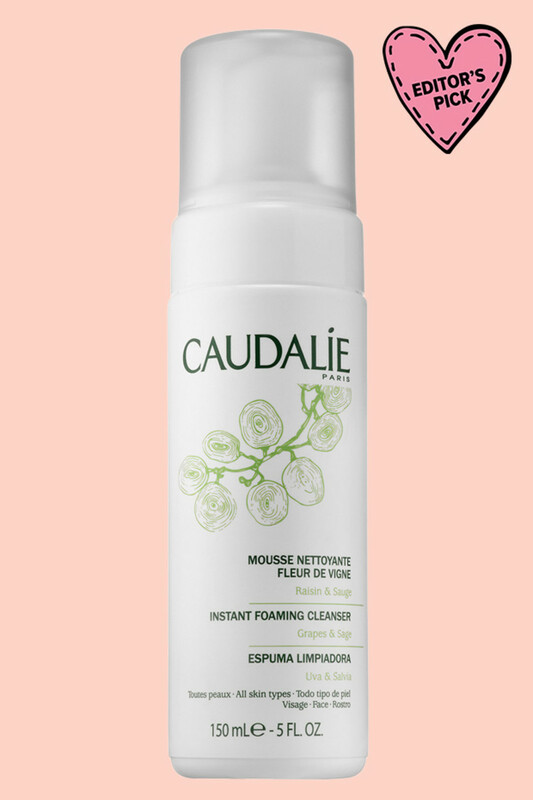 Two of my favourites are Caudalie Instant Foaming Cleanser and Consonant Natural Foaming Face Wash; both are safe for all skin types. 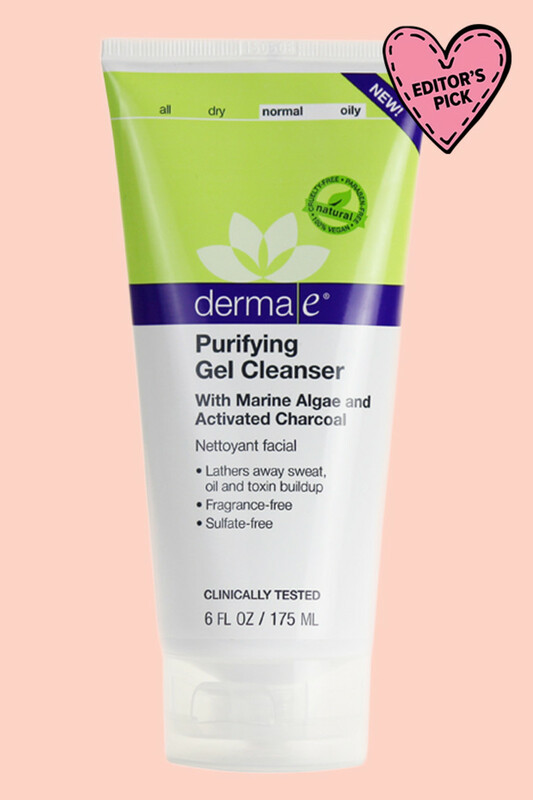 Derma E Purifying Gel Cleanser. If you have normal to oily or acne-prone skin, you may prefer a gel format. Again, just make sure it&apos;s sulfate-free so that you&apos;re not in danger of stripping your skin. My current favourite is the Derma E Purifying Gel Cleanser, but I&apos;ve also used and loved Boscia Purifying Cleansing Gel and Mario Badescu Enzyme Cleansing Gel. 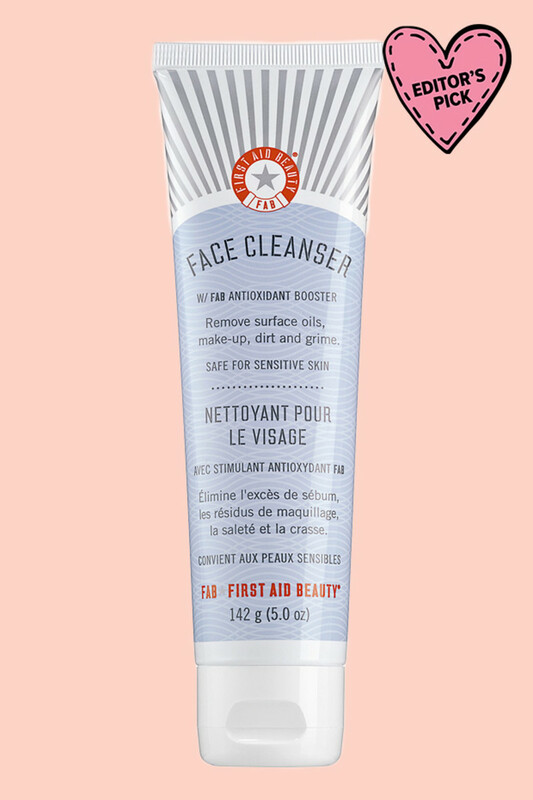 First Aid Beauty Face Cleanser. 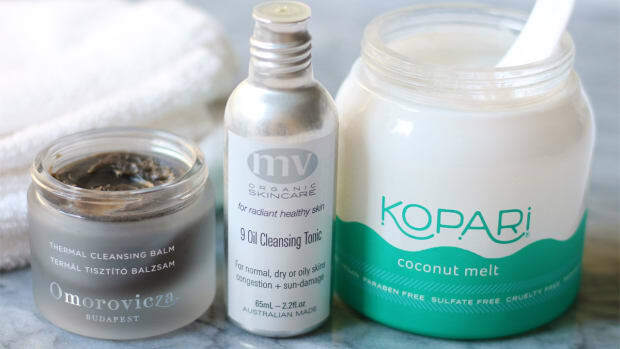 Go for these richer cleansers if you have normal to dry skin—the only caveat being that, like oils, they often leave some residue behind, so you NEED to make sure they are thoroughly removed from your skin. (For that reason, you may wish to follow up with a toner or micellar water after.) I adore the First Aid Beauty Face Cleanser, and can highly recommend it for all skin types. You could also use the Burt&apos;s Bees Brightening Daily Facial Cleanser, or Derma E&apos;s Hydrating Cleanser with Hyaluronic Acid. With foaming and gel cleansers, your skin should be wet, not dry. Using your fingertips, massage on the cleanser—once again, all over your face and right down to your chest!—using light pressure and circular motions. Make sure to spend a bit of extra time on congestion-prone areas such as the sides of your nose and the crease of your chin. Aim to have the cleanser on your skin for about 30 seconds. 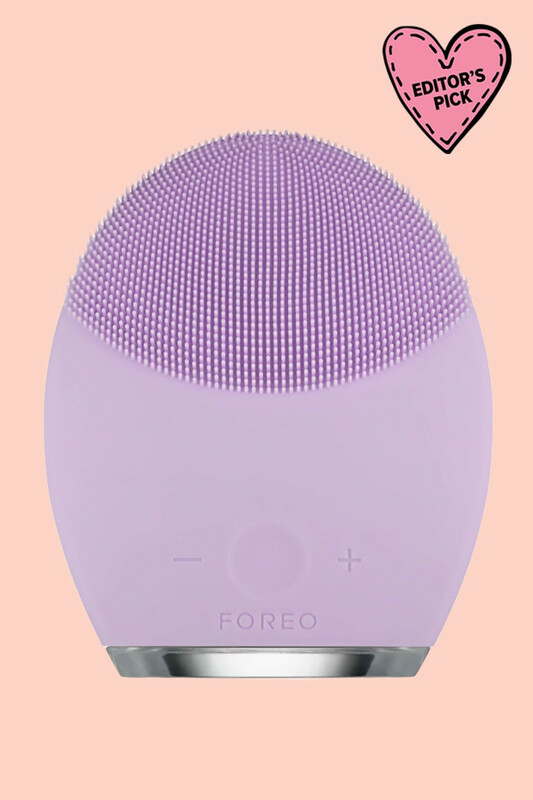 Foreo Luna 2 for Sensitive Skin. For a deeper cleanse, consider a cleansing brush. I can highly recommend the Foreo Luna. Although other cleansing gadgets such as the Clarisonic do the job, too, this is the one I personally love best. Why? Because its silicone bristles are gentle, effective, waterproof and totally hygienic—so you don&apos;t have to worry about bacteria and a funky smell when you leave it in the shower, which has happened to me many times with other brushes. I also believe the silicone is kinder to your skin than nylon bristles, which could create micro-tears. That said, if you do own and like your Clarisonic, no problem. Just make sure you&apos;re cleaning it regularly, letting it air-dry and replacing the brush head every three months. After your second wash, make sure you completely rinse off the cleanser with water, so there are no traces left on your skin. A common mistake is to use water that&apos;s too hot, especially if you&apos;re doing your cleansing in the shower. A little bit of warm steam is okay, but hot water can draw the moisture out of your skin and strip it of its natural oils. It can also aggravate sensitive skin and rosacea. It&apos;s smarter to lower the temperature and use cool or lukewarm water whenever you&apos;re rinsing your face. Your face is dripping wet, so you should just grab the closest towel and rub it dry, right? Not so fast! First of all, towels, like face cloths, can look clean—but actually be really dirty. In fact, bacteria from an unwashed towel (or pillowcase) is a common cause of acne breakouts. Ideally, you should be using a fresh, clean towel every single time you wash your face, especially if you&apos;re an acne sufferer. Not keen on doing that much laundry? Use paper towels instead. You also want to avoid vigorously rubbing your face dry. I know it feels so good! But seriously, try to resist. It can make your face red and inflamed. Instead, pat dry by simply pressing the towel into your skin until most of the water is absorbed. There&apos;s one last (optional) step, and that&apos;s toner. Back in the day, toners were used to bring the skin&apos;s pH level back to normal after using harsh, high-lather (read: sulfatey) cleansers. But since we&apos;re using gentle, sulfate-free products now, we don&apos;t really need toner anymore... or do we? Well, here&apos;s my case for toner. 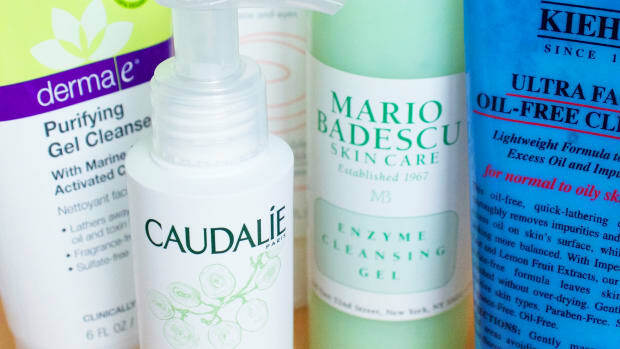 Most dermatologists will tell you that toner isn&apos;t necessary if you&apos;re cleansing properly, and that&apos;s true. However, you might not always take the time to cleanse properly. If that&apos;s the case, they&apos;re a great "back-up" if there are any traces of dirt, makeup or cleanser you might have missed. 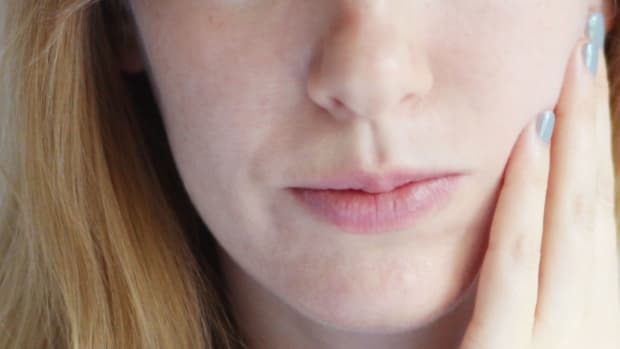 I speak from personal experience—I&apos;ve got skin that is really sensitive to having any residue left on it, and I&apos;ve broken out in places like the hairline from not removing products properly. A quick final pass with toner on a cotton pad is like extra insurance that your face is REALLY clean. If you know me, then you know I&apos;m crazy about exfoliating toners. These are liquids (or liquid-soaked pads) that contain acid-based exfoliating agents such as glycolic, lactic and salicylic acid. They&apos;re excellent for normal to oily and acne-prone skin, but even if you have dry skin, you can do this. I suggest lactic acid, which is so gentle and hydrating, it&apos;s wonderful for ALL skin types. Find it in cult-favourite Biologique Recherche Lotion P50, which is safe to use as often as twice a day, and Pixi Glow Tonic. Other favourites include the Juice Beauty Blemish Clearing Toner Pads and all the products I mentioned here. These toners are calming, moisturizing and refreshing. If you have normal to dry skin, they&apos;d be my pick for a dose of post-cleansing hydration, before you put on regular moisturizer. Tata Harper&apos;s Hydrating Floral Essence would be just perfect, or Caudalie&apos;s Moisturizing Toner. Alternatively, you could even use a face mist or micellar water on a cotton pad for this step. 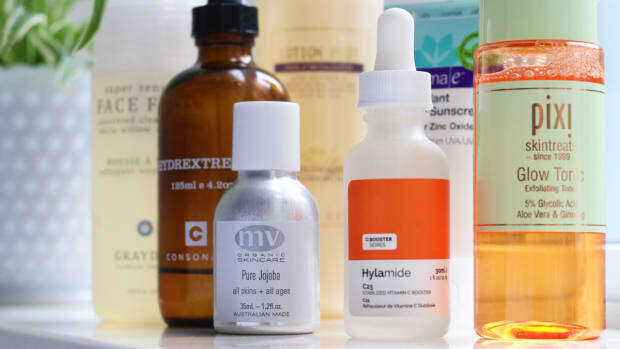 Find the best natural face mists over here. Hooray! 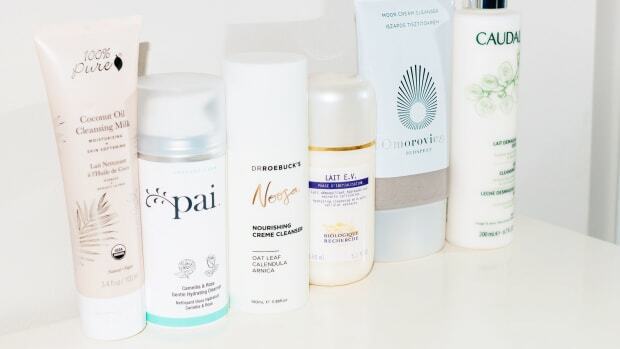 Now that you&apos;ve toned, your cleansing process is complete, and you can move on to face mist, serum, moisturizer or sunscreen—whatever products are next in your routine! Okay, you&apos;ve mastered the cleanse (Master Cleanse, get it?). There&apos;s just one more thing to know. That&apos;s how often you need to do it. Evenings: For most people, a good rule of thumb is to follow this routine once a day, in the evenings. If you wear makeup, sunscreen or any silicone-based products, double cleansing is essential. It&apos;s also a good idea to get off any excess sebum, pollution, sweat and dirt accumulated throughout the day, before you apply your treatment products. Mornings: Whether you wash your face in the morning or not is up to you. If you have dry skin, simply rinsing with water may be enough, since your skin is not producing extra oil overnight. If you have normal to oily skin, you&apos;ll want to do a gentle cleanse—but probably don&apos;t need to double cleanse. A micellar water or sulfate-free foam, gel or cream cleanser is probably sufficient, followed by toner. After sweating: The only other time you want to cleanse is after you&apos;ve been sweating, since this can lead to breakouts. Otherwise, keep it to twice a day, max. Over-cleansing can strip your skin and cause irritation! Hopefully I&apos;ve got you thinking a little bit more about cleansing today. It seems like the quickest, easiest thing, but there&apos;s obviously a little more to it! If you&apos;re coming from a place where you&apos;re lucky if your skin gets a pass with a cleansing wipe before you pass out in bed, then this might inspire you to put a bit more thought into your routine. Maybe you&apos;re not ready for the full-blown double cleanse, but you could consider swapping your drugstore wipes for a cleansing water and cotton pads, which will remove dirt and makeup more thoroughly, and can even double as toner. If you&apos;re already diligently cleansing, think about adding any missing products to complete your routine, such as a makeup-removing cleanser, cleansing brush or exfoliating toner. I would also encourage you to take a closer look at your ingredients lists, and try to phase out anything with sulfates and even silicones. Doing those things could really take your skin to the next level! How do you wash your face? Have you tried any of these products?